Busy professionals who are committed to prioritize their health generally prefer one-on-one coaching. Just visualize how your life would change if you had more energy and fewer aches. What would you do differently? Men and women come to me to reach their health goals in areas such as improving skin appearance, increasing sleep, reaching a desired weight, and maximizing energy. Most people prefer to start with altering their foods/drinks choices and then examine all different aspects of your life. As a result of our discussions, you will develop a deeper understanding of the food and lifestyle choices that work best for you and implement lasting changes that will improve your energy, life-work balance and health. YOU will be in charge, and I will be your empowering change agent and guide. Unlike in a patient-doctor relationship, YOU will be in charge of identifying realistic, achievable and measurable goals. I will provide ongoing support and guidance. During the program, you will make changes that you will be able to maintain for the rest of your life, share with your loved ones, and that improve your health and happiness. 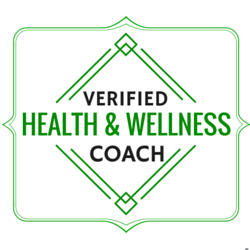 As your Health Coach, I will listen carefully and provide you with additional resources and information you need. We will explore what truly works for you and why, keeping your background and preferences in mind. To find out if health coaching is right for you and if we are a good fit, I invite you to schedule a free one-hour initial consultation. During this session, we will discuss your health and lifestyle to determine how I can best support you in achieving your goals.